Villa Hayat-Dema has been thought out to fully meet our guests expectations and finished with a very high standard, including new furniture, fittings and soft furniture throughout. Down stairs the open plan lounge, dining and kitchen area offers a cool and calm relaxing space for all guests. The new fitted granite topped kitchen is fully equipped with oven and hob, microwave, fridge freezer, dishwasher and washing machine along with all the best ‘mod cons’. In the kitchen you will find quality crockery, serving dishes and cookware together with glassware and poolside glasses for your convenience… and everything required for those poolside evenings and delicious meals should you decide to eat in. The kitchen flows into the dining area and lounge complete with a wood burning stove for those occasional chilly evenings at certain times of the year. With sofas to seat 8 there is lots of room to stretch out after a long day round the pool soaking up the sun. 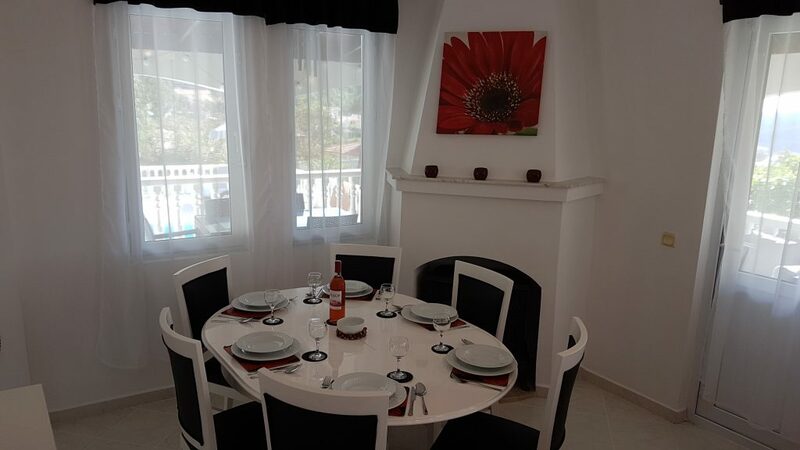 If you fancy some family movie time there is a TV and DVD player with DVD’s to choose from, Broadband allowing plenty of WiFi access in and around the villa along with a guest book library. 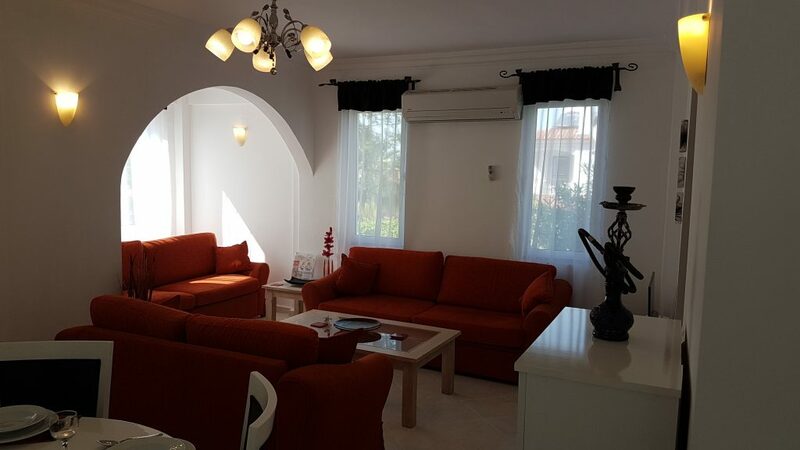 The Villa offers 2 double bedrooms with queens size beds, both of these rooms lead onto balconies over the pool. 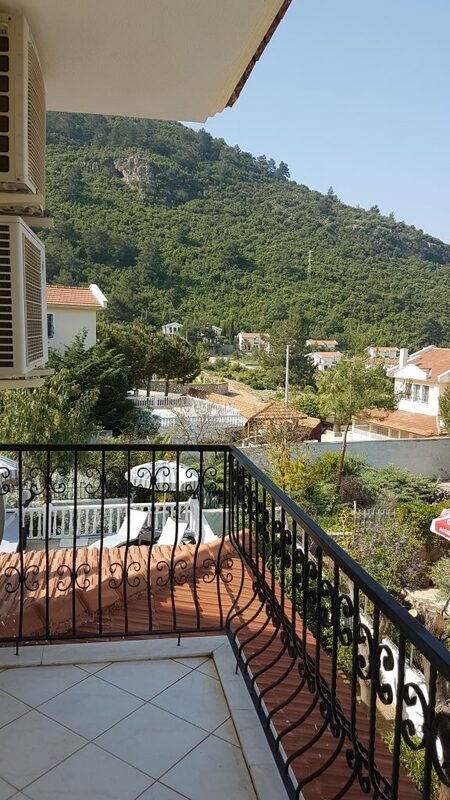 The balconies offer stunning views of the Babadag mountain as does the pool, and one also has a sea view of Oludeniz. The third bedroom has been fitted with twin beds for either adults or children complete with a large 4 door wardrobe. We appreciate the need for wardrobe space whilst on holiday, and also plenty of space to unpack properly, allowing our guests to get on with enjoying their holiday. With this in mind we have made sure that there is plenty of wardrobe/cupboard space and enough clothing hangers for all the guests, as well as mirrors. 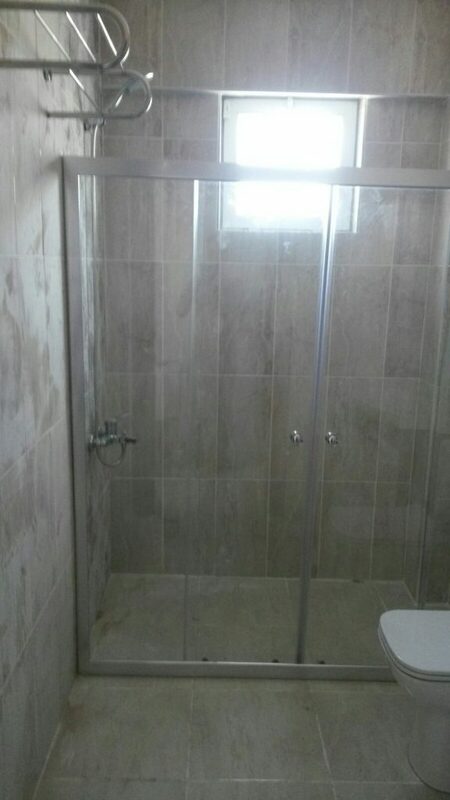 The main bathroom has been newly renovated to a modern high standard again with cupboard space for your convenience, and the main bedroom is also complete with a newly renovated modern en-suite shower room again with cupboard space.